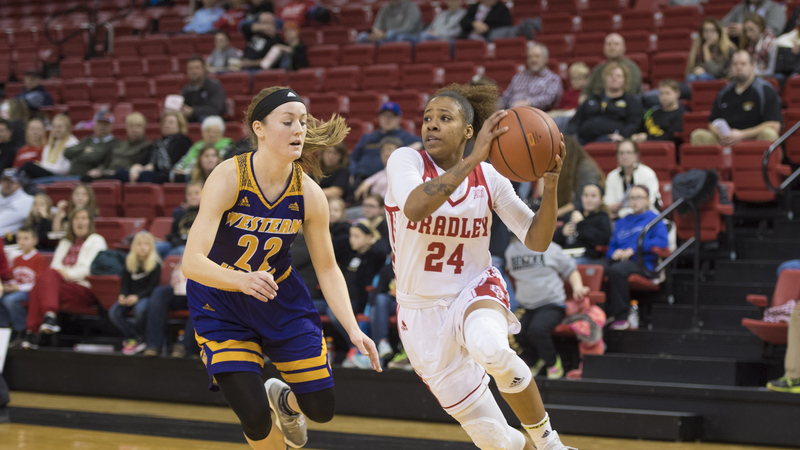 When you hear Bradley senior guard Shunseere Kent speak, it’s impossible to miss the confidence in her voice. That same confidence was apparent in her first season as a Brave, as Kent started the first 20 games and finished third on the team in scoring with 8.6 points per game. 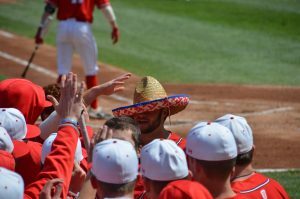 “I actually did [think I’d have success from the start], I always worked hard so I felt like it was time to put the pieces together,” Kent said. 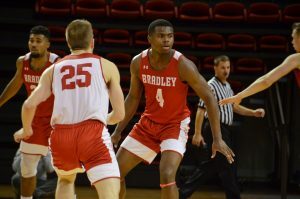 Hard work is what brought Kent to Bradley as a junior college transfer from East Georgia State in 2017. Kent has never been the biggest player on the floor. At 5-foot-7-inches, she relies on her quick first step and speed to get past defenders and create shots for herself. Kent hopes that the added strength in her upper body and base will help her finish through more contact in the lane this season. Gorski praised Kent for being one of the team’s most dynamic players, citing her “deadly” pull-up jumper, consistent three-point shot and ability to put pressure on opposing ball handlers for the length of the court. Adjusting to the Division I level has been more than just a physical transformation for Kent. It’s also been about becoming more comfortable in a leadership role on the team and helping the younger players around her fulfill their potential. After her final season at Bradley expires, Kent aspires to play overseas and knows that scouts pay the most attention to winning teams. 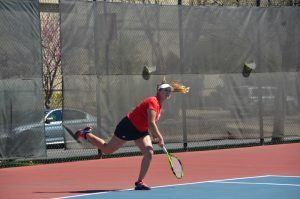 As a transfer, Kent has been put in the unique situation of having her last season at Bradley come immediately after her first, but she possesses the drive to make this final season count.